Rock Fishing is one of the most dangerous pastimes in Australia. 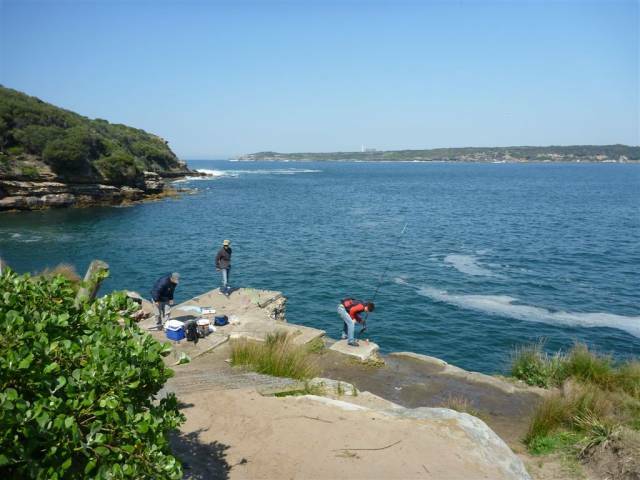 Unfortunately, the Randwick City Council coastline is one of the MOST dangerous Rock Fishing areas within Australia with many deaths recorded within the Randwick area over the past few years. No matter what your skill level or experience we implore you to always wear a life jacket whilst Rock Fishing within the Randwick Council area. Wear a Life Jacket. Wearing a Life jacket can significantly increase your chance of survival if you are washed into the water. Inform others of your plans. Always let friends or family know where you are going and when you’II be back. Wear light clothing. Light clothing such as shorts and a spray jacket will let you swim easily If you are washed in. Jumpers may be heavy and difficult to take off. Wear appropriate footwear. Cleats, sandals and sandshoes with non slip soles suit different surfaces. Use the appropriate shoes for the conditions. Carry safety gear. Wear a life jacket or buoyancy vest. Also bring something buoyant that can be easily thrown and held onto, to help you stay afloat. Carry ropes, a float and torches. Fish only in places you know are safe and never fish in exposed areas during rough or large seas. Make sure you are aware of local weather, swell and tidal conditions before going fishing. Listen to weather forecasts or call the weather information line on 1900 937 107. Be aware that conditions may change dramatically in a short period of time. Observe first, fish later. Spend some time (at least 30 minutes) watching your intended spot before fishing to get an idea of the conditions over a full swell/wave cycle. Wave conditions can get worse as the tide changes – you should know whether the tides are high or low and coming in or going out. Plan an escape route in case you are washed in. Stay calm – if you are washed in, swim away from the rocks and look for a safe place to come ashore or stay afloat and wait for help to arrive. Stay alert. Don’t ever turn your back on the sea – if the waves, weather or swell threaten your fishing spot then leave immediately. Ask for advice from locals who know the area. They will always tell you when an area is dangerous. Do not jump in if someone is washed into the water. Use your rope or something that floats to rescue the person. If there’s an Angel Ring nearby know how to use it. Dial 112 on your mobile phone to get help. For more information visit the Safe Fishing website.